About Eyetopia - Eyetopia, Inc.
Eyetopia, Inc was launched in the Fall of 2002 by independent optician, Paige Buscema. We are a unique optical boutique employing licensed opticians and housing an extensive collection of handbags, jewelry, and accessories for men, women and children in addition to world class prescription eyewear services. What will you find at Eyetopia, Inc.? One of the area’s largest collections of over-the-counter reading glasses. Top quality Sport & Luxury Sunglasses customized to suit your lifestyle. Personal style consulting coupled with the world’s best Rx lens products. Expertly fit eyewear that better helps express who you are as an individual. 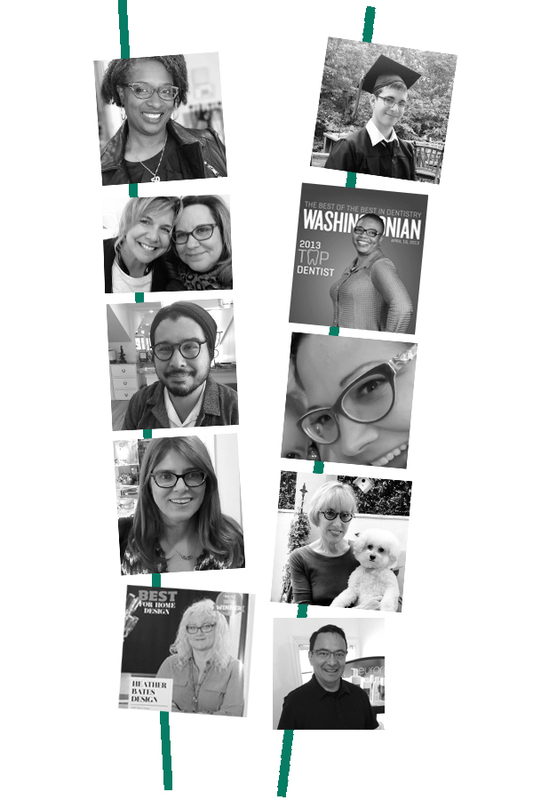 State Licensed and Nationally Certified opticians that happily see clients by appointment to provide expert eyeglass selection and Rx fulfillment. We love spontaneity but encourage you to call the shop (703-443-6410) to make an appointment for the complete VIP experience and to view our unique, curated eyewear collection. Please also bring your written Rx from your eye doctor so that we may provide you with eyewear choices that are tailored to your individual style and Rx needs.